The arctic Minneapolis elements are trying to stifle us (and the participants) but here’s a few quick hits as the Derby continues. 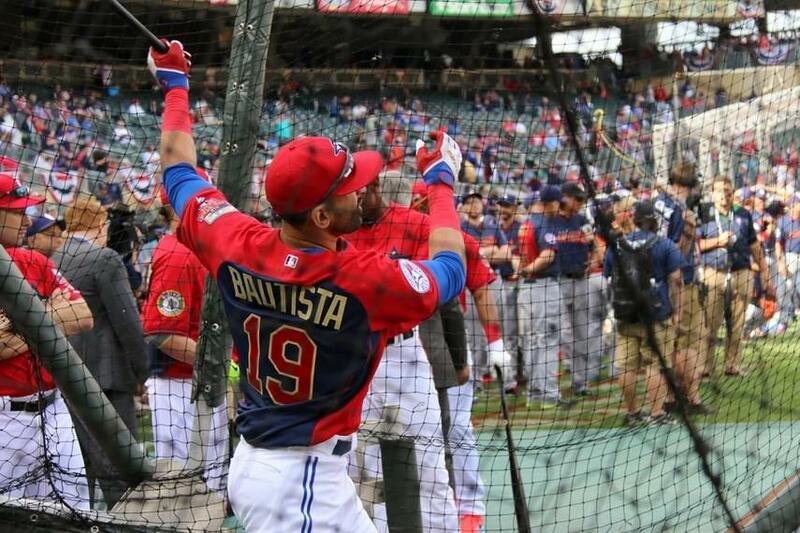 Jose Bautista’s Marucci Elite 2015 batting gloves, which we just saw him swinging in that show he put on. These should be available in August. 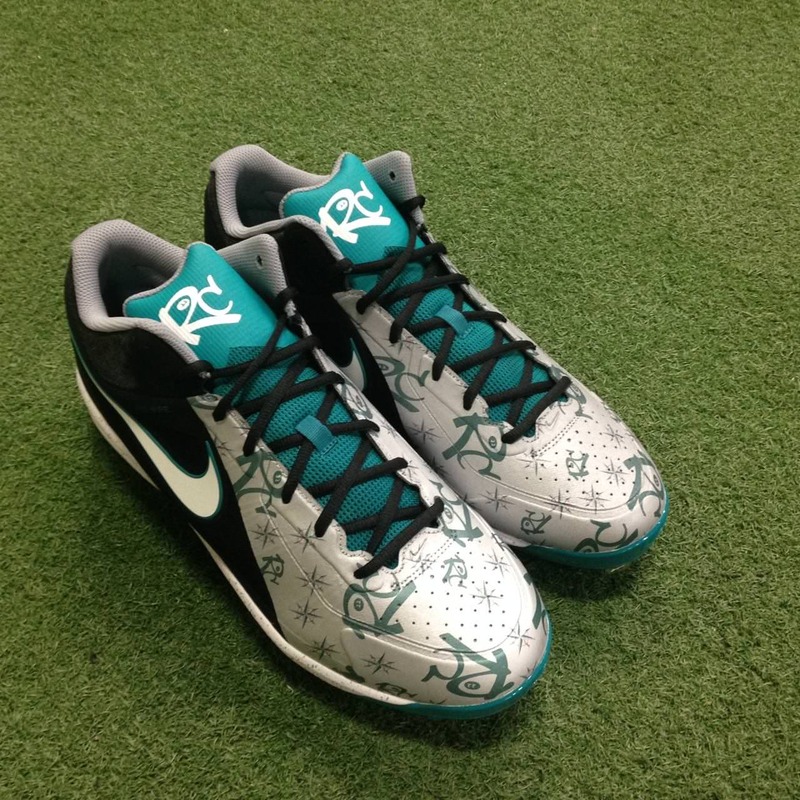 Recon Northwest sent these customs through, Nike MVP Elite 3/4 turfs detailed for Robbie Cano in pregame. 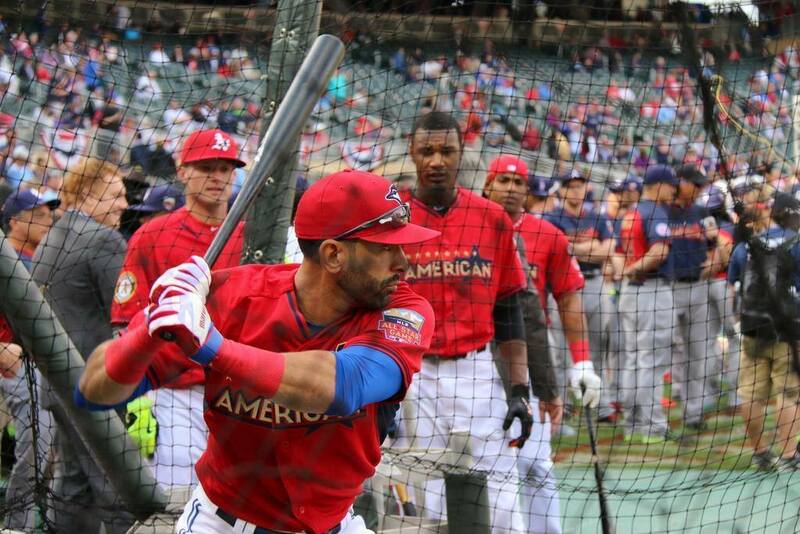 If anybody has any images of him wearing these, tweet us @whatproswear and let us know. 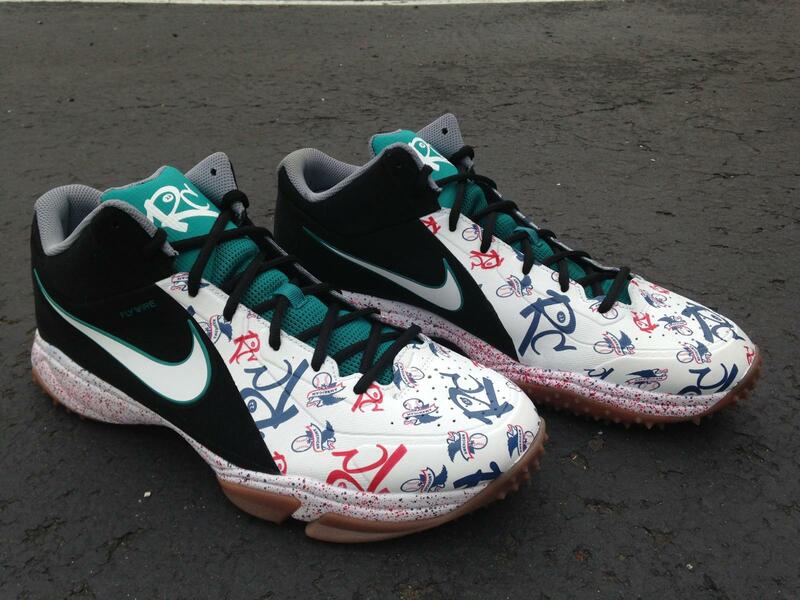 Same goes for the cleats below. 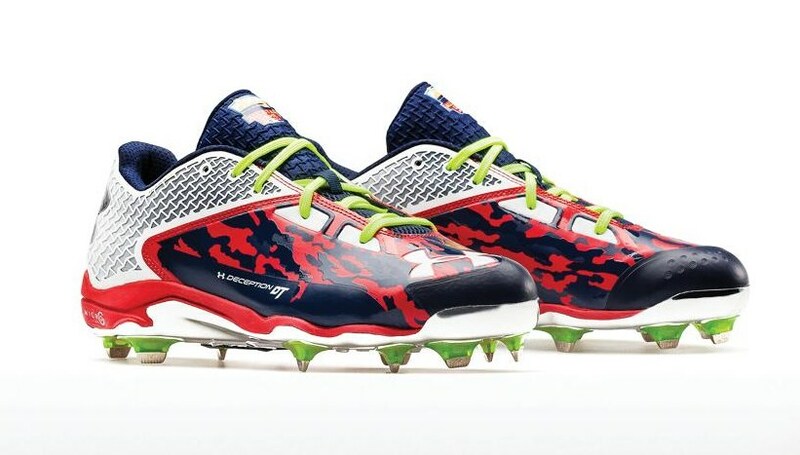 Adidas sent through their own take on the All Star Game, these Energy Boost Icon cleats made for Chase Utley and Dellin Betances. I do like the shoe, not necessarily the colors, but I could definitely do without the nauseating background. 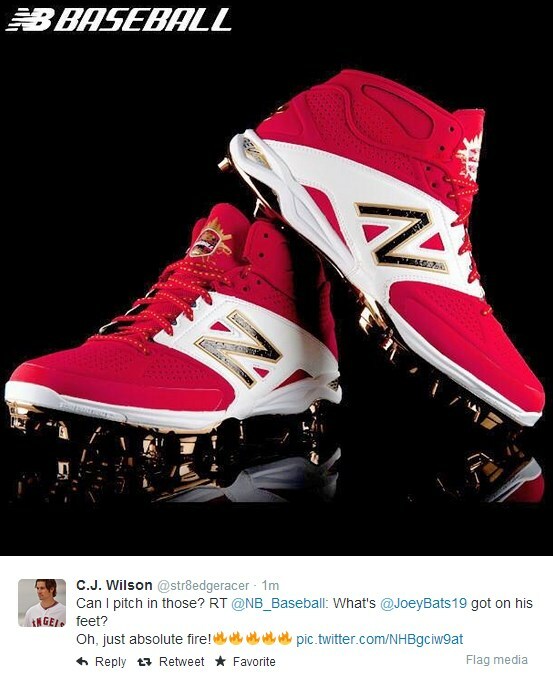 CJ Wilson’s got cleat envy. 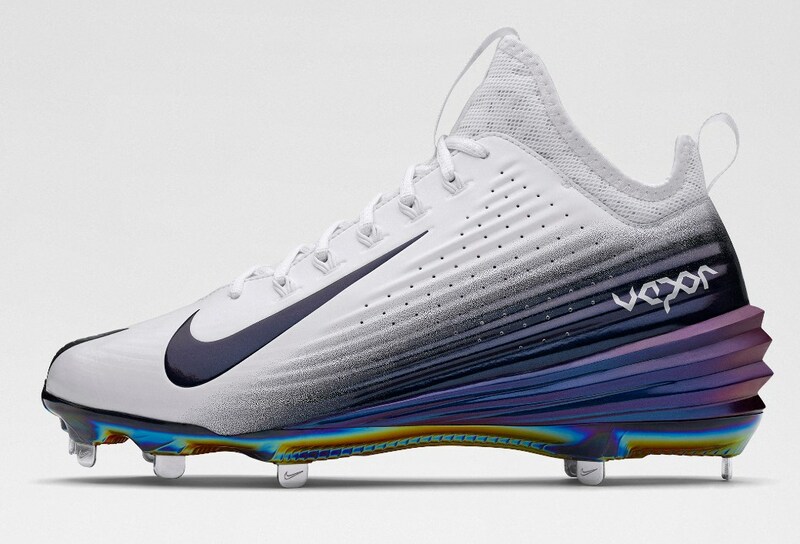 Also, check out the Nike Lunar Vapor Trout Spectrum series, worn by Nike guys for the Derby. 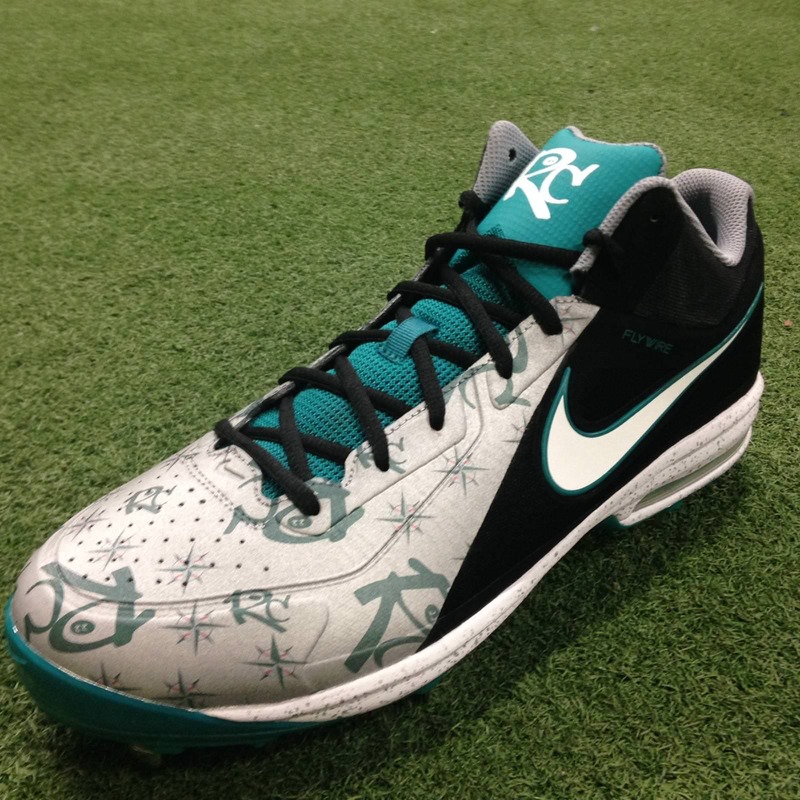 Though we saw Tulo wearing these. YOU CAN BUY THESE. 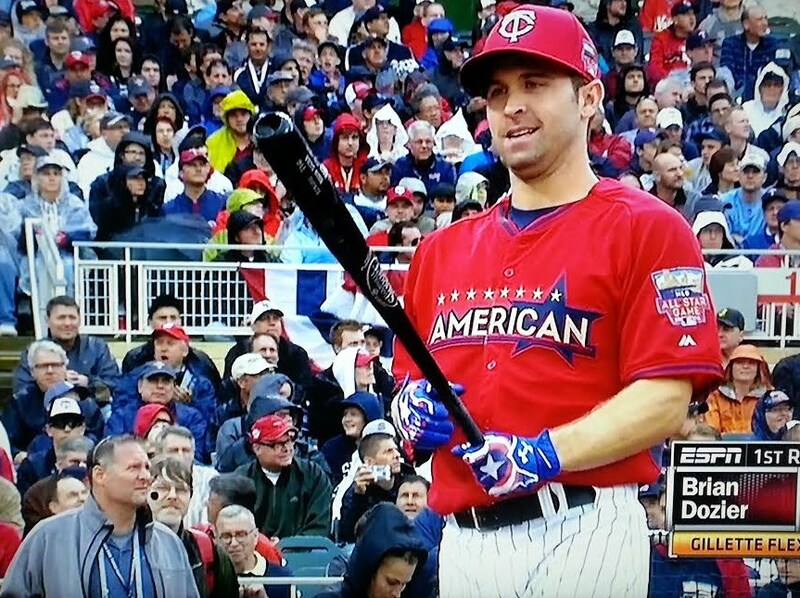 Dozier wore the above Deception hybrid cleats and the first we’ve ever seen, Captain America batting gloves, for the Derby. No idea the story on those. Under Armour doesn’t return my messages.